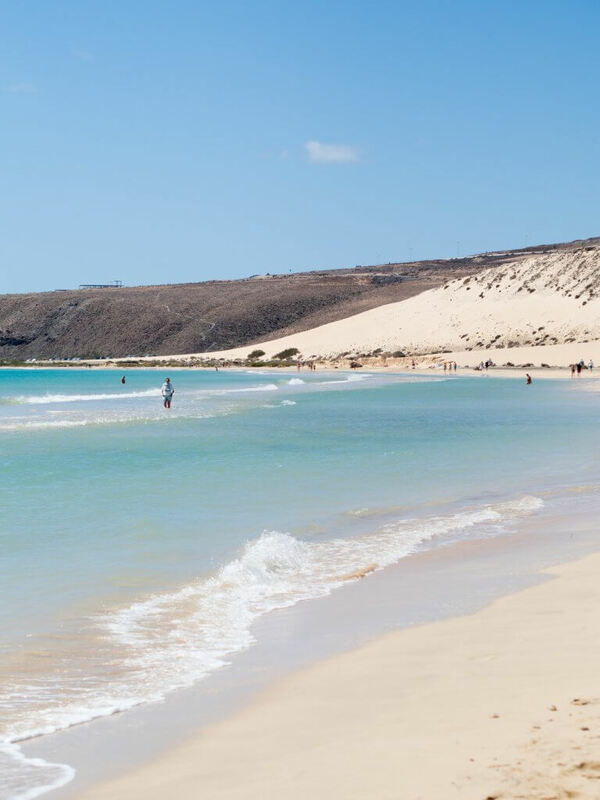 Thanks to the help of my own personal Fuerteventura tour guide Alex, I’ve shortlisted the best beaches on this Spanish island! 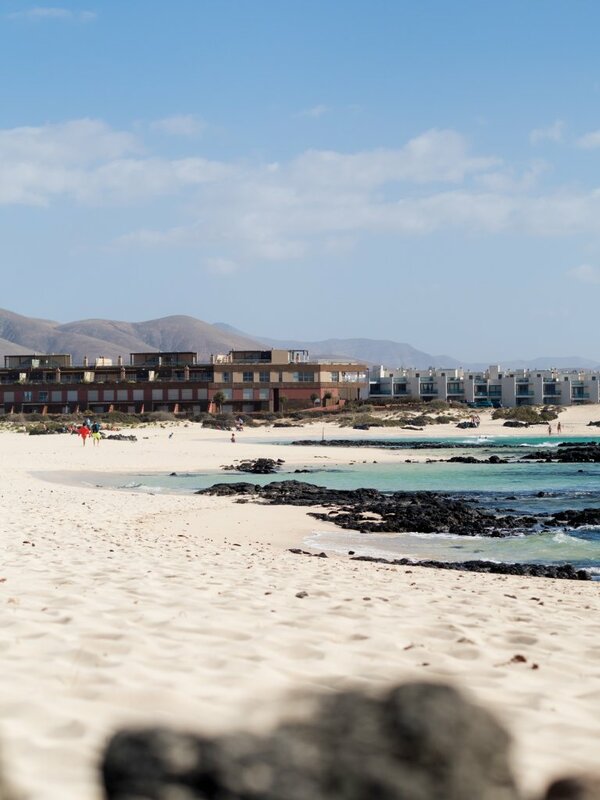 Having lived there for 6 months and being lucky enough to have a holiday home here in Fuerte, Alex knows this 640sq mile island pretty much like the back of his hand! We have been together twice now, and it’s been great to have him take us to all his tried and tested spots. 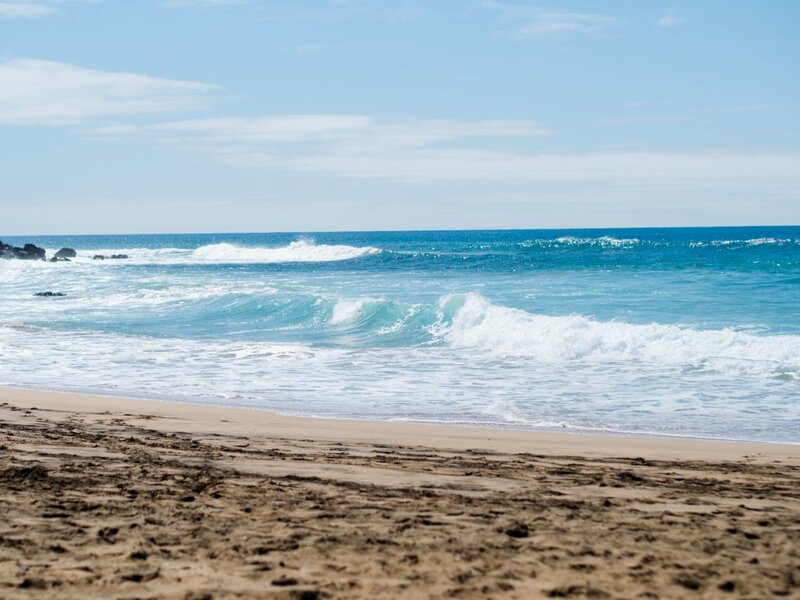 Below is a list of 5 of the top beaches that definitely have to go on your hit list if you visit! Now I must say, being from Cornwall means that I am totally spoiled when it comes to beaches. 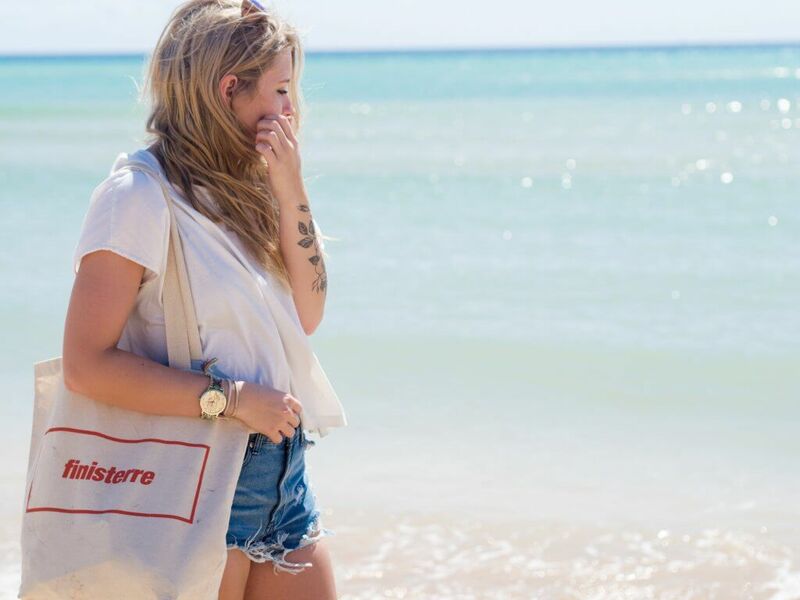 I hate being a beach snob, but it’s a thing. 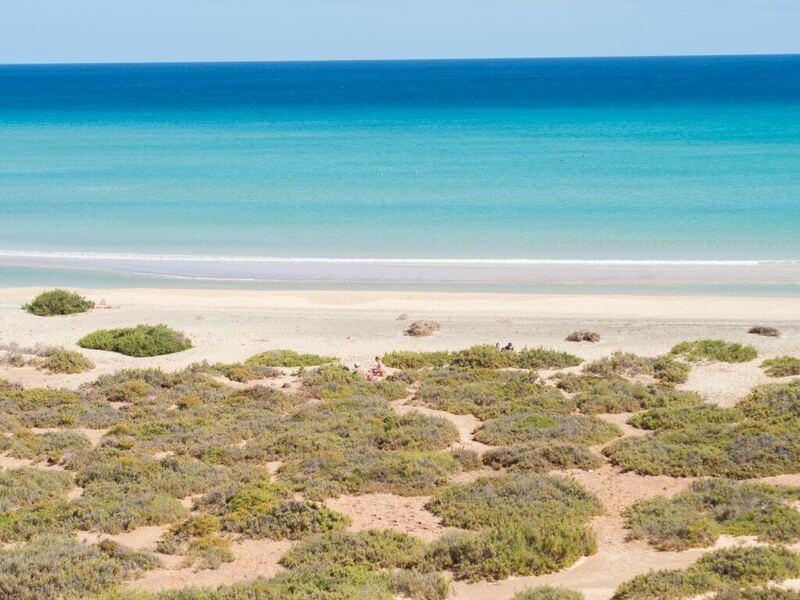 So trust me when I say that this beach is absolutely stunning! 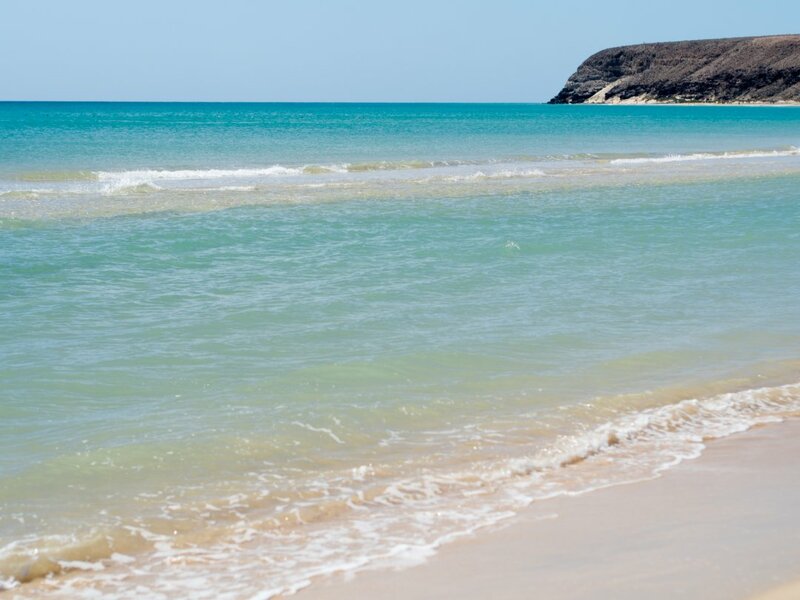 With its soft white sands, huge dunes, crystal clear lagoons and sand banks you can swim to and walk on like your very own islands, it’s a incredible place to spend the day. If you want the true desert experience, you have to drive through the Parque Natural Corralejo (on the way to Corralejo town). With miles of sweeping white dunes either side of the road, and volcanic mountains in the distance, it’s a truly breath-taking view! Hop out of the car and try sand sledding down the sandy banks, or just take photos of the amazing white paired with bright blue of the sky. All along this road there are loads of places to park up and head across the dunes to the sea. It’s a well-known surfing spot (we had our 7 Island Surf lesson there back in November!) 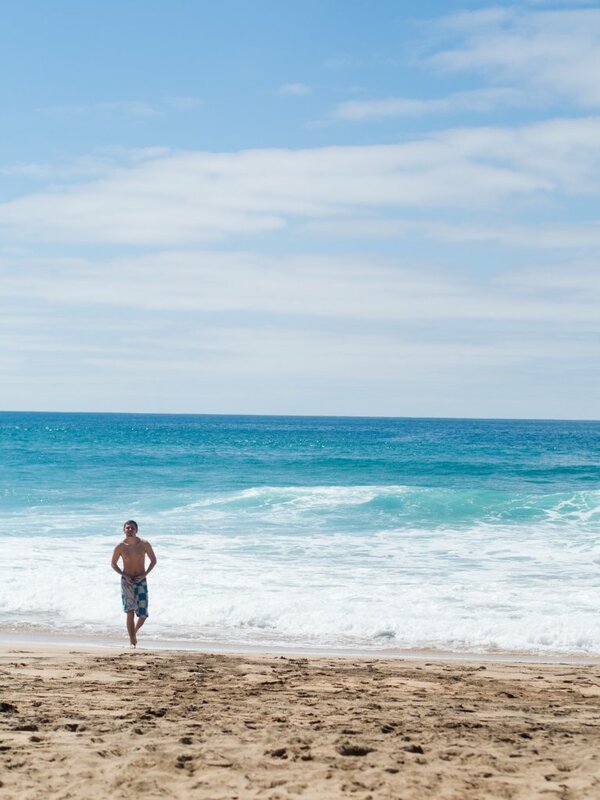 and great for body-boarding too. 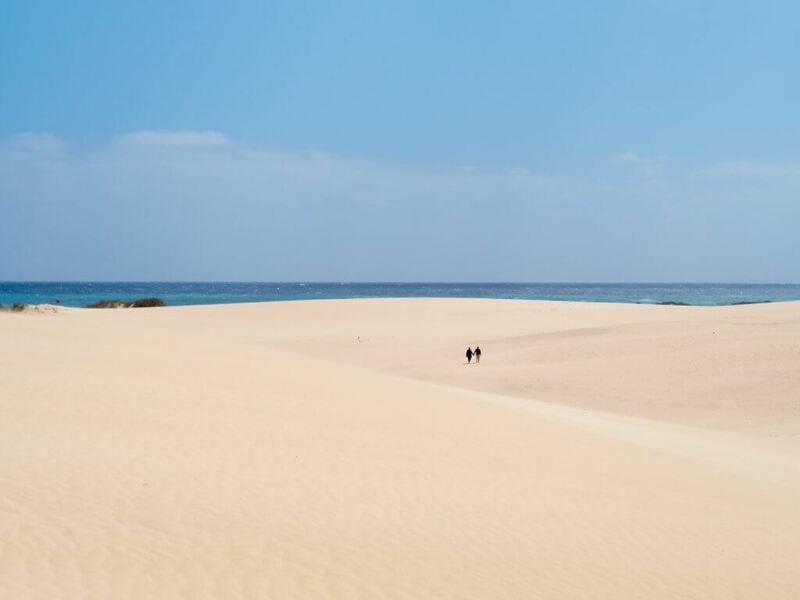 This is my favourite excursion experience in Fuerteventura. The ferry costs just 15euros return for an adult ticket on the ferry from Corralejo, and you can be there for as long as you like, with plenty of pick up times throughout the day. 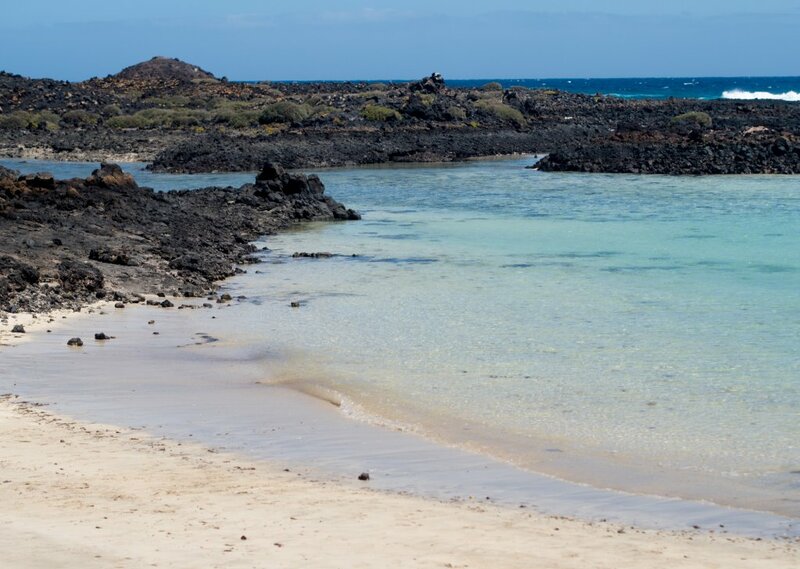 It’s a beautiful little island to explore – spend the day hiking up volcanic mountains, trekking around the east-side coastline, or lounging around by one of the two beautiful blue lagoons! 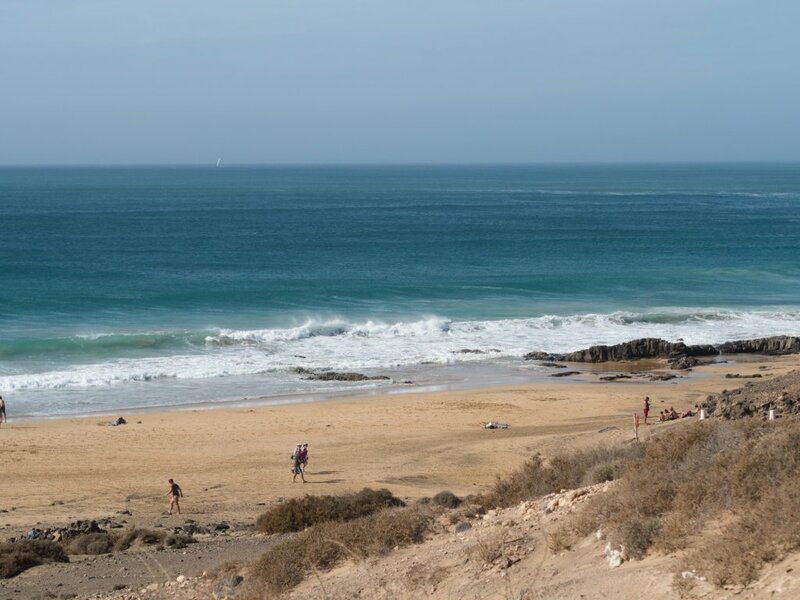 Technically still part of El Cotillo, Los Lagos is the beach on the outskirts of town, with a couple of restaurants at the edge of the sand. 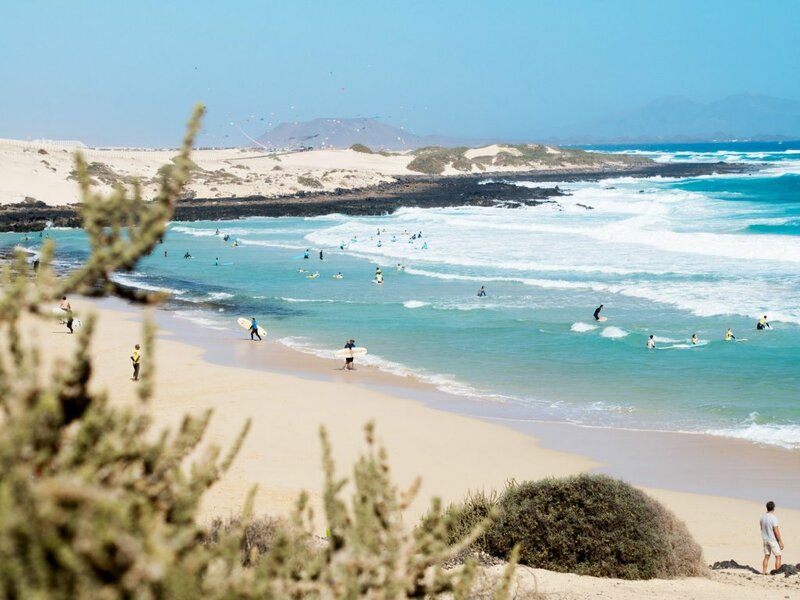 It’s the non-surfing side of El Cotillo, and the perfect place to relax! 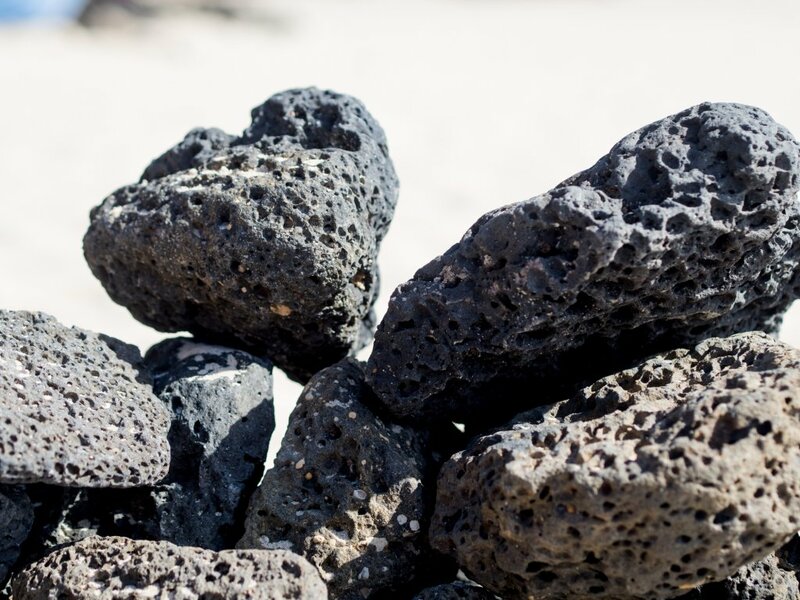 There are plenty of ‘stone circles’ (little crescent moon shaped rock piles that people have assembled over the years to act as wind-breaks along the beach) to nestle up in with a good book, and the reefs there make sure the larger waves stay out to sea, creating little lagoons along the coast. 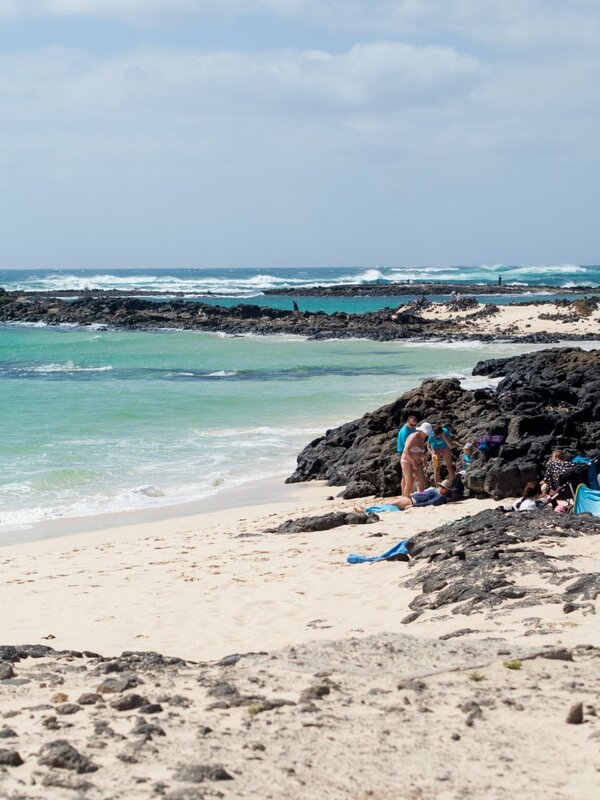 This beach is famous for its crazy waves, and surfers love it! It’s a long stretch of coastline and you can park in the different spots along the cliffs and walk down to the sand. If the tide’s out there are sometimes little lagoons to chill out in (quickly warmed up by the sun! ), but mostly it’s an epic place to either watch, or participate in, the surf. 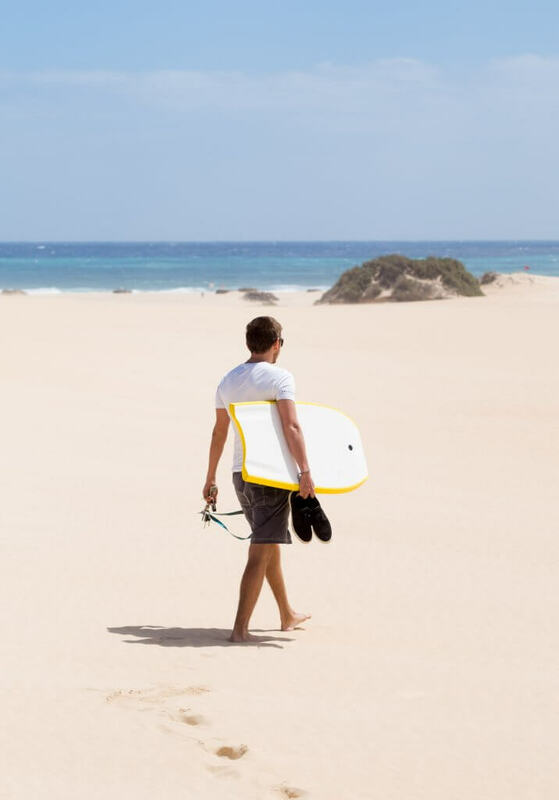 There are plenty of surf schools in El Cotillo, so if you fancy a go there’s lots to choose from! 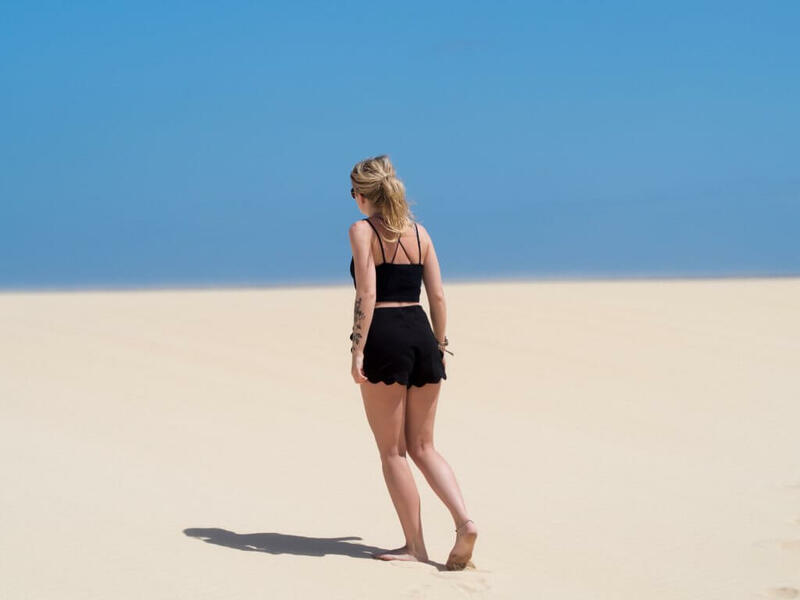 Have you ever been to Fuerteventura? Where are your top picks?